Allow yourself a moment of peace in the quiet contemplation of the Patagonian nature, the perfect antidote to the constant noise of busy and work-driven urban lives. ​La Calandria offers its visitors lots of peace and privacy so you enjoy your best moments in El Doradillo, a quiet and isolated place practically unaltered by human intervention, which allows visitors to enjoy a wild environment and invites landscape contemplation. Please take some time to explore our website and discover the location, see our cabins and learn more about us. 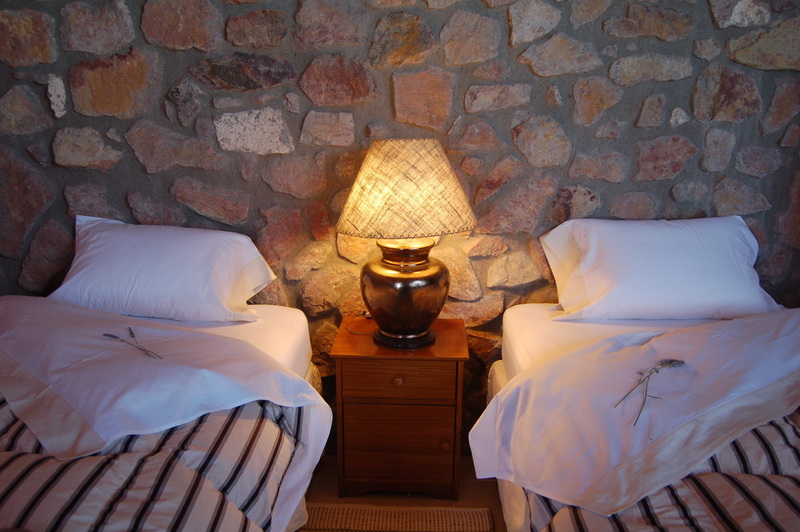 ​These stone suites are suitable for 2 guests: Each includes a private bathroom with shower and tub, two sommier beds, wood burning stove and a convenient kitchenette for a quick snack or tea or coffee. In order to provide you with the maximum relaxation for a better nervous system depuration, non unnecessary electromagnetic devices have been included in the rooms, such as tv set, microwave or frigobar. ​A full breakfast is included each morning: Fresh fruit and juice, freshly ground coffee or tea, yogurts, cereals and our own homemade bread, puddings and marmalades. 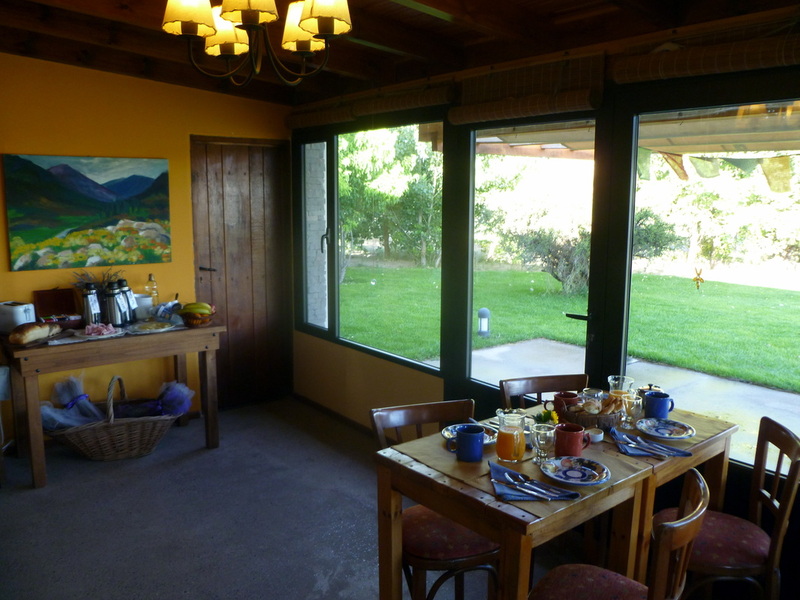 For lunch and dinner, a supermarket and many restaurants are available in nearby Puerto Madryn (about 15 minutes drive from our property), however, some guests prefer to arrange meals on site. Please contact us for customized menus and pricing. We offer vegetarian and traditional Patagonian dishes on request. You may enjoy walking by the path through the lavender plantation and olive-trees up to the screened porch situated in the main house garden where the breakfast is served. We (the owners) live on site, and we love to do our best to make sure that your stay will meet all your expectations. For reservations, please see our Policies here. Except Sundays and holidays, rates include daily routine house cleaning service. Private guide available on request. Our three dogs and cats welcome human visitors, but do not enjoy animal competition, sorry! We look forward to hosting you in El Doradillo, Patagonia! Please, we will be happy to receive your call! Ready to book your stay with us? Have a question about Chacra La Calandria? We will be happy to receive your call!